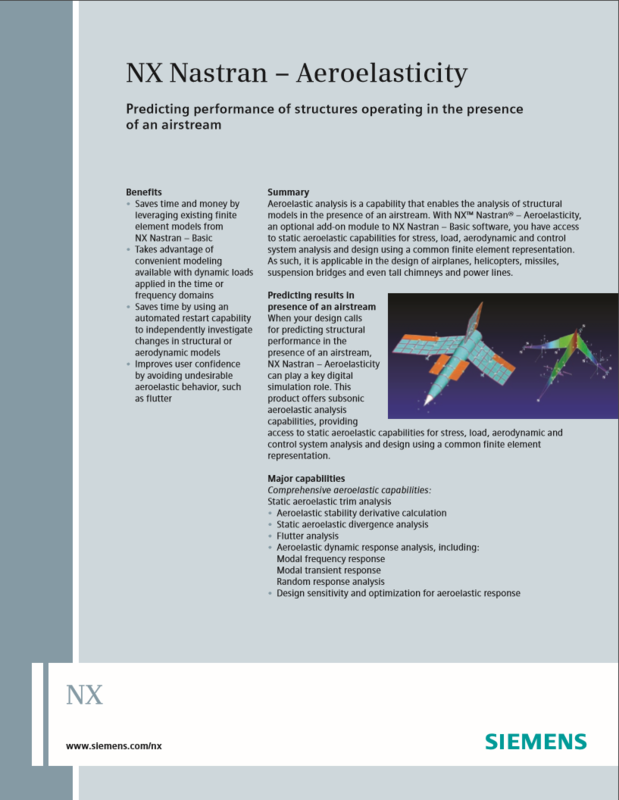 The NX™ Nastran® Aeroelasticity software solution enables you to analyze models in which structures are immersed in fluid flows, which as a result effect the stiffness of the structure itself. Aeroelasticity is available in the NX Nastran Advanced Bundle. 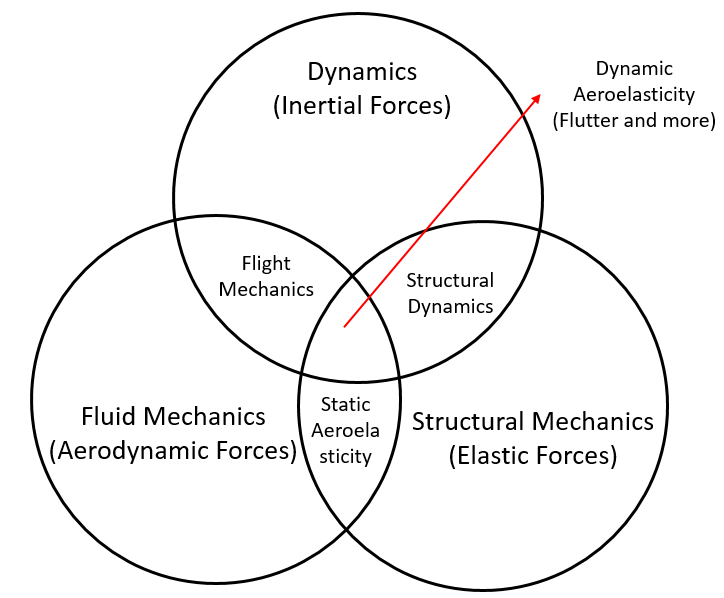 When would I need to consider Aeroelasticity? 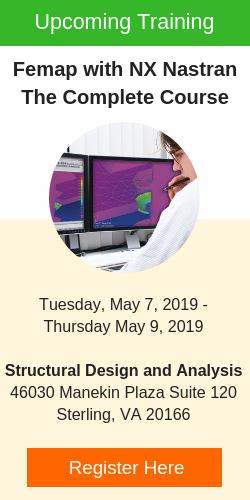 As a structural/stress engineer, it may not always be convenient or possible to generate fluid dynamic loads during the structural sizing process using CFD (or other methods) and apply them to the structure. 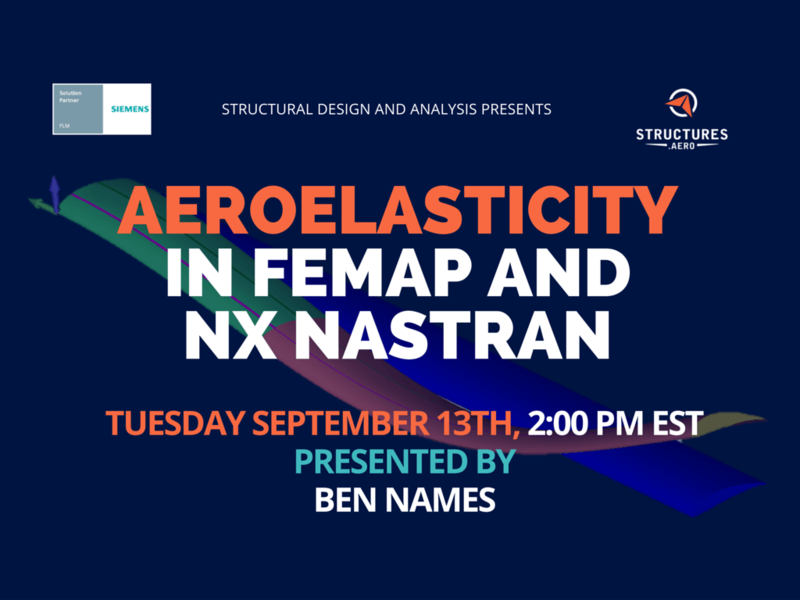 One of the largest benefits of using the NX NASTRAN Aeroelasticity solution is that those loads can be calculated internally using potential flow methods. These loads can be generated to simulate any part of the flight envelope (steady level flight at altitude, coordinated turn, etc.). The aeroelasticity solution even has the capability to trim the aircraft under any of those cases.  This means that with minimal input about the aircraft geometry, accurate loads can be easily, and quickly generated and applied in the sizing process, without ever needing to consult an aerodynamicist. When structures are too flexible, in addition to running a simple linear static analysis (SOL 101), you often have to consider running a linear buckling analysis (SOL 105) as well. If all aspects of an aircraft are very rigid, calculating the aerodynamic loads using CFD is sufficient. This usually isn’t the case. Like with the linear static case, the load can change and reduce the stiffness of the structure, causing additional deformation and additional loading. This often causes an aircraft to generate more lift than if it were a rigid body, which can quickly eat into the margins an analyst thought they had when applying CFD aerodynamic loads. Using NX NASTRAN’s SOL 144, this reduction in structural stiffness due to the aerodynamic loading can be easily taken into account. 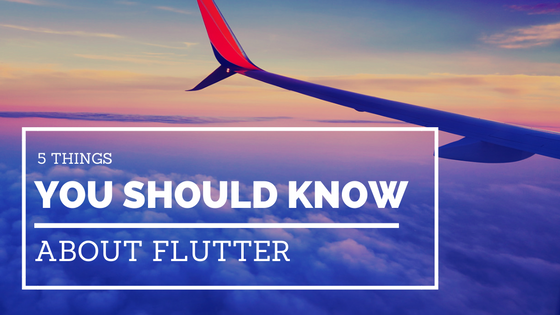 Divergence and Flutter are both aeroelastic instabilities that can prove detrimental to an aircraft, often causing catastrophic failure. With NX NASTRAN’s Aeroelasticity solution, these points can easily and accurately be solved for, whether on a wing or an entire aircraft. In addition to trim analysis, sometimes it is necessary to consider how an aircraft will behave under a dynamic gust, which can result in higher than design stresses. The higher loading due to gusting can be especially detrimental when on the edge of the flight envelope, such as during a coordinated turn. As the dynamic pressure increases, the controls of an aircraft tend to become less and less effective. Eventually, a dynamic pressure is reached at which point manipulating the control surface results in no change in aircraft attitude. Past this zero-effectiveness control surface dynamic pressure, manipulating a control surface will have the reverse effect. In this scenario, it means that if a pilot tries to roll the aircraft right, it will instead roll left. This effect is typically associated with a low torsional stiffness of the wing and can be disorienting to the pilot at best. Using the NX NASTRAN Aeroelasticity solution, these dynamic pressure points can be found. 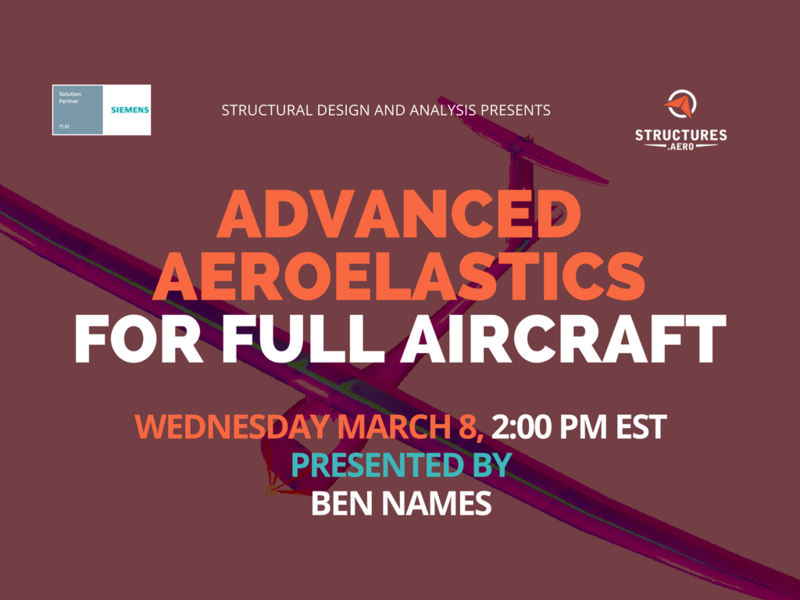 When working on a composite aircraft, aeroelastic tailoring can be used to change the loading on the aircraft and increase margins while adding no mass to the structure. In addition, tailoring can also be used to boost control effectiveness or improve an aircraft’s gust response.